← Robin Williams a Coward? Apology NOT accepted! Why does it take the death of a celebrity to get people to talk about Mental Illness? Robin Williams, a comedian/actor died on August 11th. For the past three days everyone has been talking about him, his mental illness and the sad details of his death. There has been increase in talk about mental illness (some good, some bad). The amount of talk has increased in leaps and bounds. It is great that it is a topic of conversation. However, mental illness was a problem before his death. One in four people are affected by the disease. Suicide is the 10th leading cause of death. How many people knew that before August 11th? How many people knew that Robin Williams suffered from bipolar disorder? How many people even knew what bipolar disorder was? I am glad that people are talking about mental illness. However, how long will it last? If it’s anything like other famous people and their deaths in the past, not too long. Mental illness needs to be talked about not only when a famous person dies, but all the time. 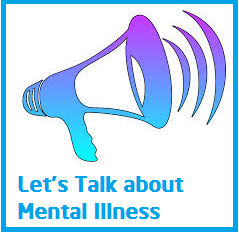 It does not just need to be discussed among those affected by mental illness, but by everyone! People need to be made aware that mental illness is something that can be treated, what to look for in others, where they can get help, that there is hope and recovery, and there is no shame in getting help. Instead, people oftentimes only hear about the horrific things that happen in the news that involve people with mental illnesses. Instead of the media taking those opportunities to educate others about mental illness, they contribute to the stigma oftentimes. Robin Williams’s death is awful and I am glad that it has brought the talk of mental illness to the forefront. His death deeply saddens me yet I hope that much can be learned by it. My fear is that the talk about mental illness will stop in the near future. The 25% of the population that suffers from mental illness deserves more than that. My thoughts and prayers go out to Robin’s family during this difficult time. I also am thinking about the families of the 30,000 other people who have committed suicide this past year. This entry was posted in Uncategorized and tagged advocacy, bipolar disorder, depression, mental illness, robin williams, robin williams's suicide, suicide, suicide rate, talk about mental illness. Bookmark the permalink. 2 Responses to Why does it take the death of a celebrity to get people to talk about Mental Illness? I agree that people only discuss mental illness in light of famous peoples deaths due to it. Other than that, its all the awful things that happen by people who were mentally ill that are discussed. I dont think its right. I hope some people will see this and have a long think. We are not deamons just because we’re mentally ill. We arent freaks. We are normal every day people who just happen to have an illness, a mental illness.